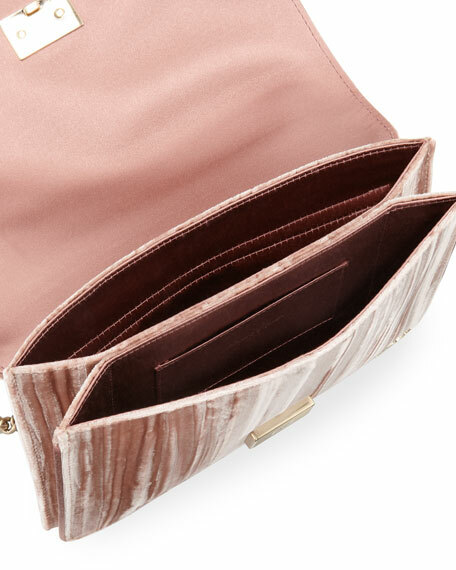 Roger Vivier clutch bag in striped velvet. 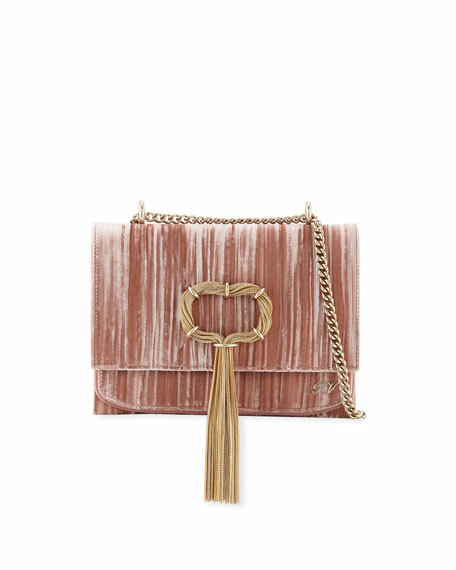 Chain buckle and tassel feature at front. Logo initials in front corner. 6.5"H x 8.7"W x 1.6"D.
"Club" is made in Italy.